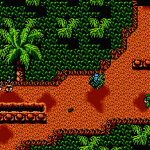 Guerrilla War for the NES is a port of the 1987 arcade game developed and published by SNK. 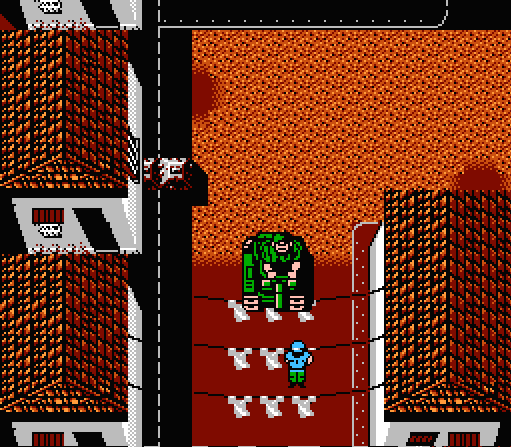 SNK also brought us the Ikari Warrior series which, at first glance, Guerrilla War seems to be much like it’s big brother, albeit with a much deeper, much darker history. 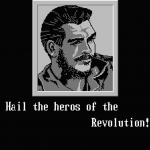 On the surface Guerrilla War seems to be the normal top-down shooting game, yet it was actually based on Ernesto “Che” Guevara’s plot to overthrow the Batista dictatorship of Cuba in the 1950s. 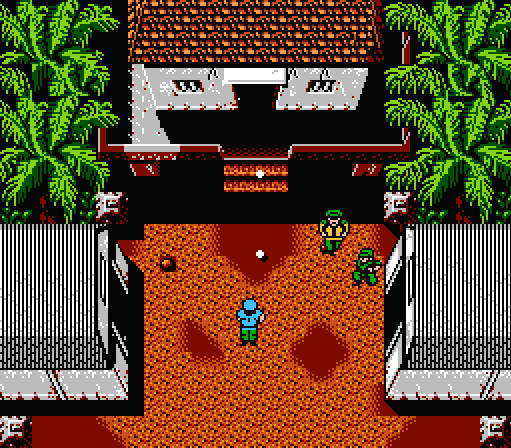 Within the game there are subtle, mostly graphical (players 1 and 2 are actually based on Che Guevara and Fidel Castro respectively), hints that carried over from the Japanese release, but for the western release they changed some dialog and changed the name from Guevara to Guerrilla War. 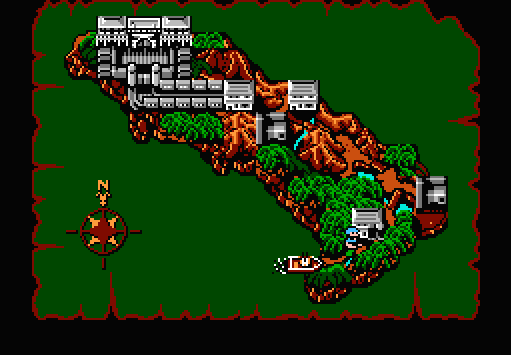 In the game your mission is straight forward, defeat all the enemies along the way to the final boss. 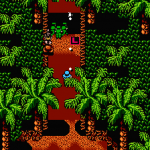 Your mission is cut up into sections and spread through out these sections are an increasing number of enemies, some hostages you can rescue and each stage finishes with a boss. 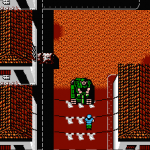 Now, I say you can rescue the hostages because it isn’t necessary, in fact you can blow them up and keep going as it merely reduces your score slightly and otherwise has no effect on the overall goal of beating the game. 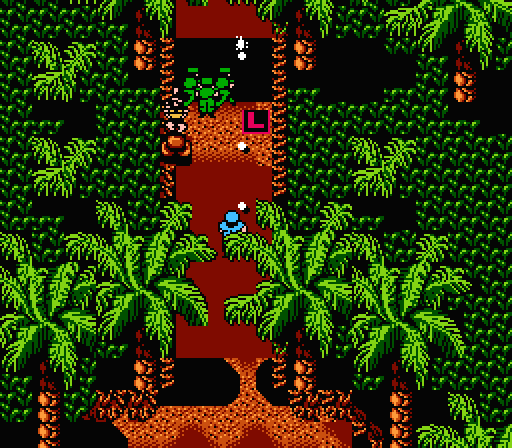 To help you through each stage you have an infinite supply of ammo and grenades, also littered throughout the stages you can find many different weapons upgrades and in some stages you can even find a tank! 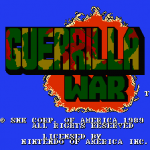 Guerrilla War is very generous with continues, my first complete play through took only about an hour. 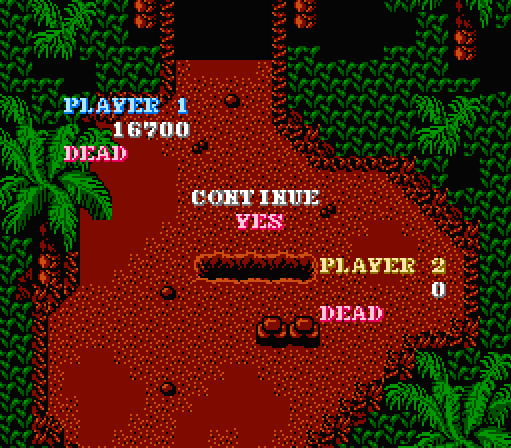 You can use as many continues as you need, but each time you use one your score will return to 0 preventing you from posting much of a high score. 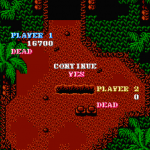 Since Guerrilla War was ported from the arcade, the 8 directional walking and shooting has carried over quite well and is used often thanks to some creative level designs. If you’re looking for that authentic feel, using a Nintendo Advantage is highly recommended! 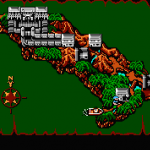 Overall, the graphics are pretty standard for it’s time but can’t stand up to the graphics it was ported from. 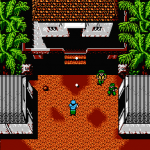 SNK did a very good job of filling the screen and bringing the many different environments to life whether it’s in a forest, sewer, riding in the mining car or walking through a town. 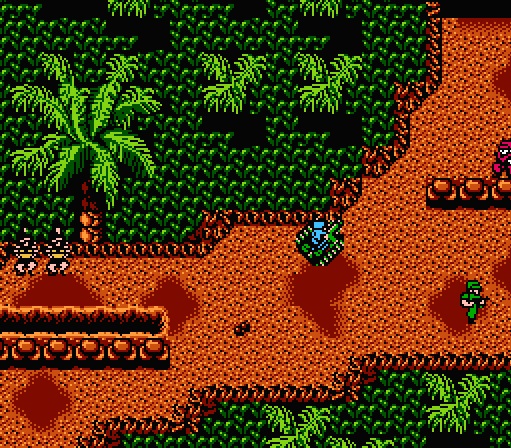 If you’re a fan of other SNK games, such as Crystalis, you’ll notice many sound effects as well as the background music sound very similar. 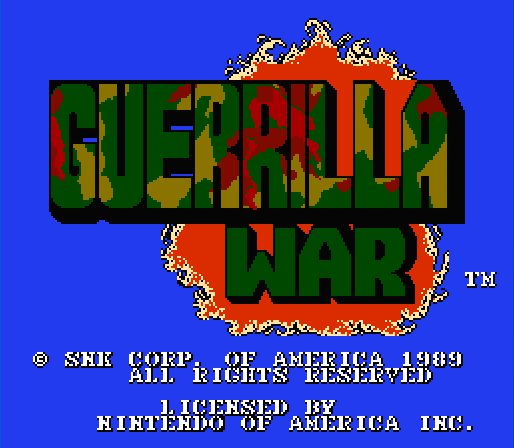 Although Guerrilla War may have a somewhat taboo back story, I can’t deny that this game is utterly and thoroughly enjoyable. Even with the simplicity brought on by endless continues this game is still challenging and very fun to play! 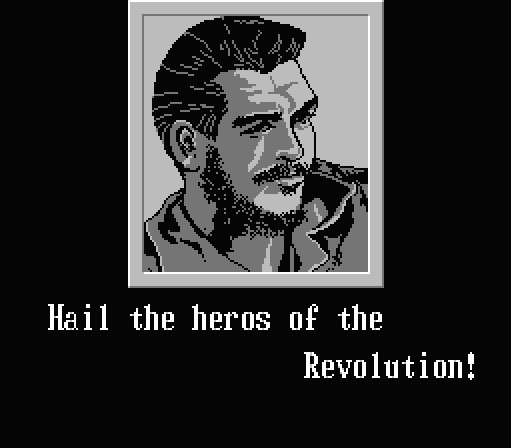 I found gameplay footage of “Guevara” on youtube!